This beetle came to the lights at work last night. 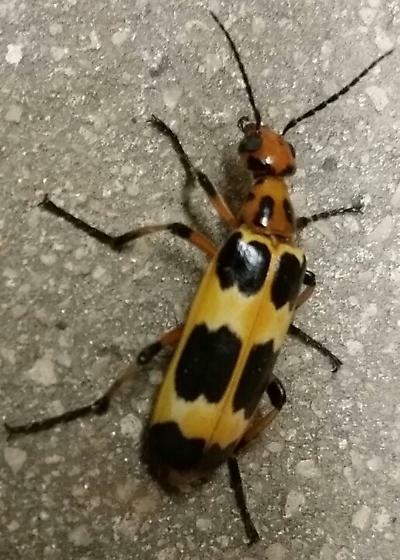 It looks like some kind of blister beetle to me but I am not sure. Any help would be greatly appreciated. Thank you so much for the id!!! They are swarming the lights in Medina County also. Yeah this is the third one I've seen. Out of the pyrota species on here, P. deceptiva looks closest to me, but I'm not sure.